At Labbe Family Orthodontics, one in four patients that we see is an adult who is now taking the opportunity to fix their smile. No matter your age, there is never a time when you are too old to get the orthodontic care you need. It’s our job to make sure you receive effective and efficient orthodontics in Annapolis. Whatever the reason you had for waiting, there is no need to wait any longer. All of our locations offer the same orthodontic services, so be sure to call the location near you. It is our mission to provide you with the best possible adult orthodontic treatment to make the process as easy as possible! If you’re concerned about the possibility that you’ll have to wear unsightly braces, please don’t worry. We have adult invisible braces that can correct your dental issues without affecting your appearance. This is an increasingly popular option among adult patients. You have other options as well. If you’re looking for an alternative to braces for adults, we also offer surgical orthodontics that can properly align your upper and lower jaws. 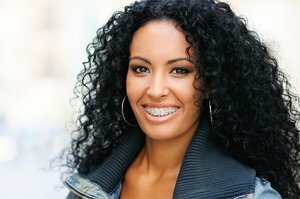 Which adult orthodontic treatment works best for you depends on your unique circumstances. We’ll analyze the matter and suggest the dental solution that we feel is right.